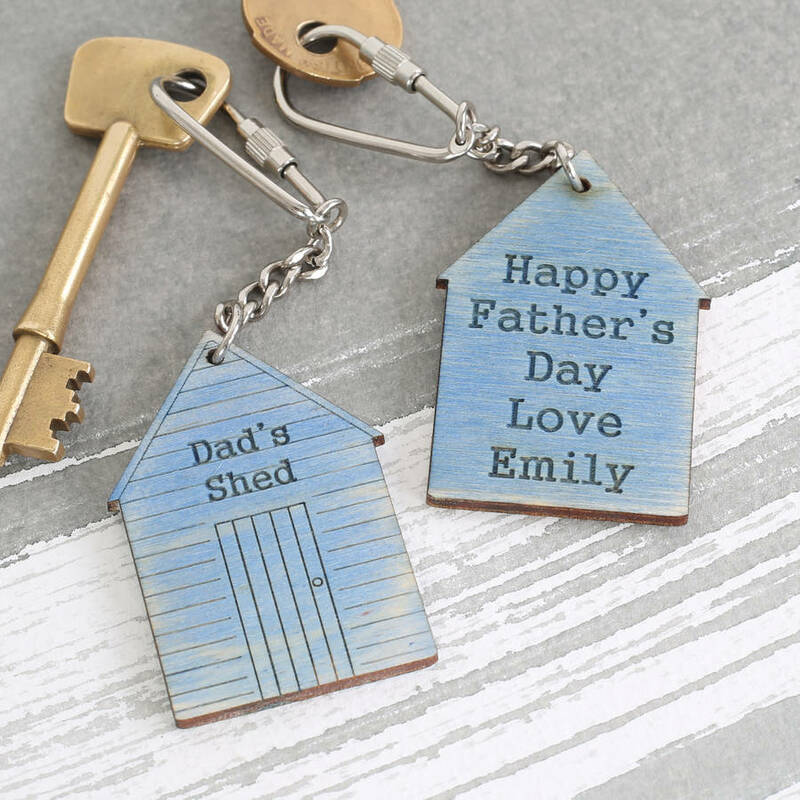 Personalised fathers day gift for dad or grandad keyring. Personalise your keyring with a name and message. Could this be the thing you were looking for? A perfect little gift for him. 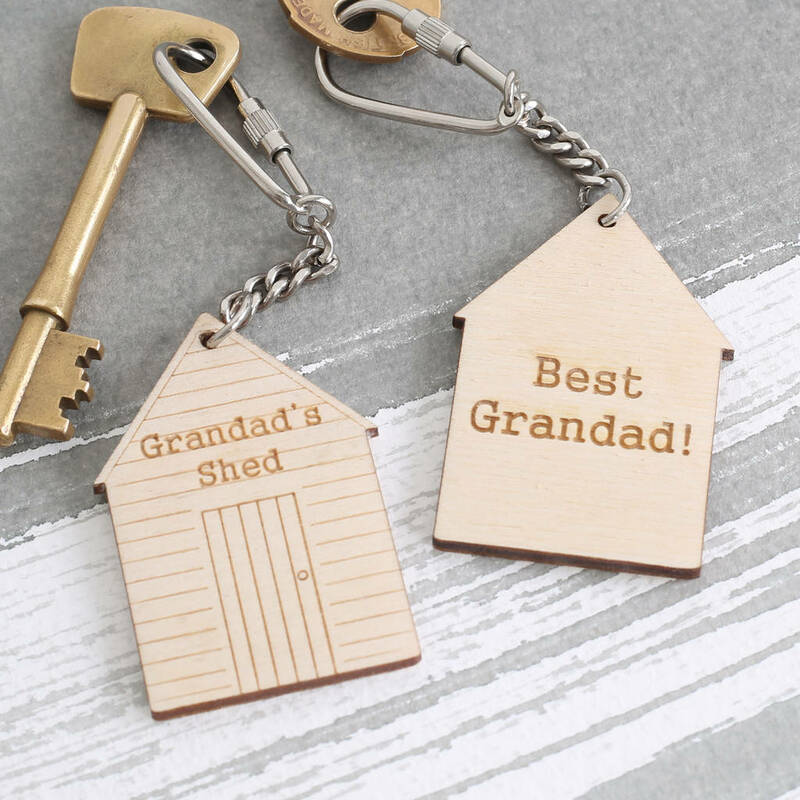 And, even if he doesn't have a shed - we reckon he probably wants one! 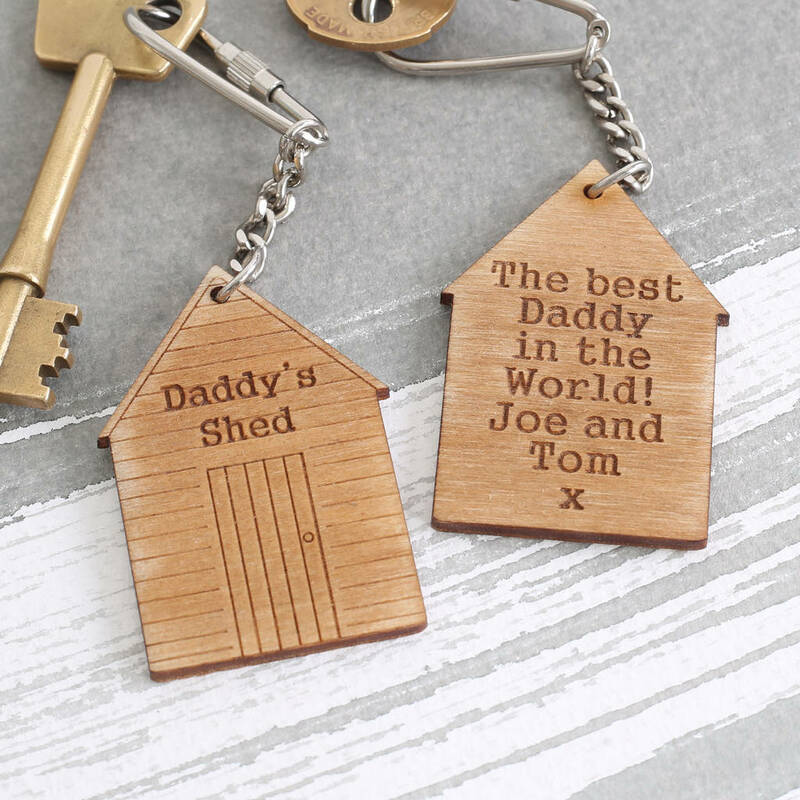 Tell us whose shed it is 'Dad's' or 'Daddy's' and what colour you'd like your keyring. 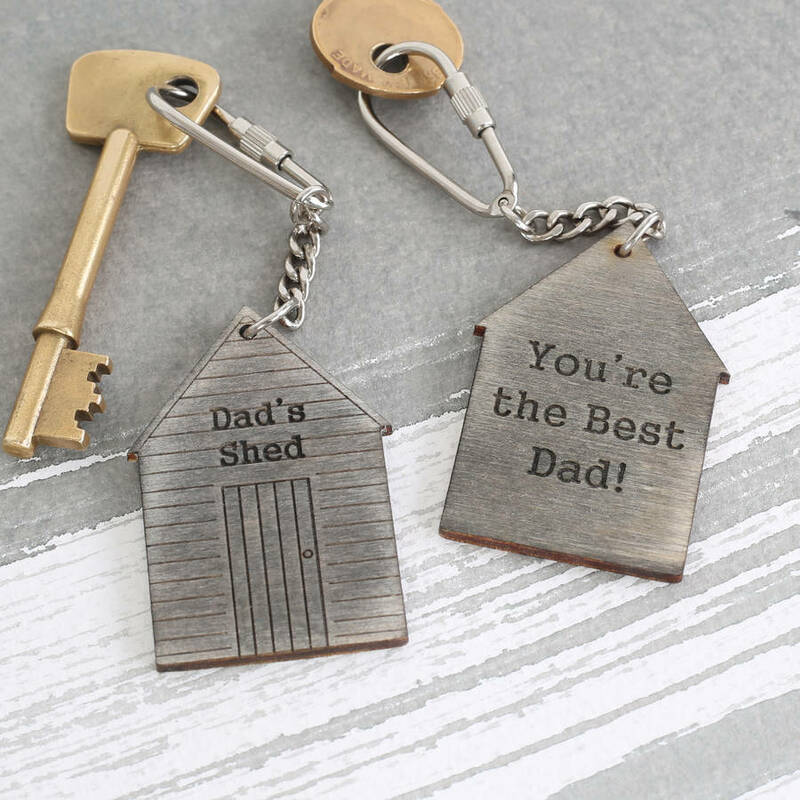 Also you can choose to have your keyring engraved on the reverse. Just tell us what you'd like to say.